If you look at the Sun (which you shouldn’t, ever), you just see white light (for the second or so before your retinas are permanently scorched). That’s a mixture of all wavelengths of the electromagnetic spectrum that our eyes respond to, between 390 and 700 nanometers (or about 3,900 to 7,000 angstroms). 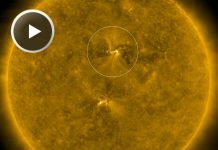 And there is a lot we can learn about the Sun by viewing it in that range, from studying its undulating surface swirls to its rotation. But scientists can learn even more by extending their “eyes” beyond the visible. 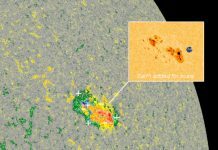 That’s what this new mosaic from the Solar Dynamics Observatory shows us. 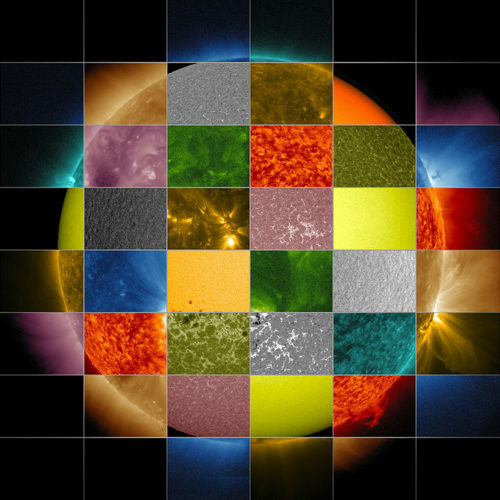 It represents all of SDO’s detectable wavelengths and the ions and temperatures that those wavelengths represent. 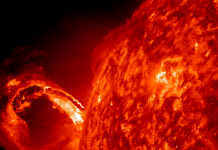 Viewing each of those can tell us a deeper, richer story of the solar physics at work in and on the fusion-powered energy source that feeds our planet. 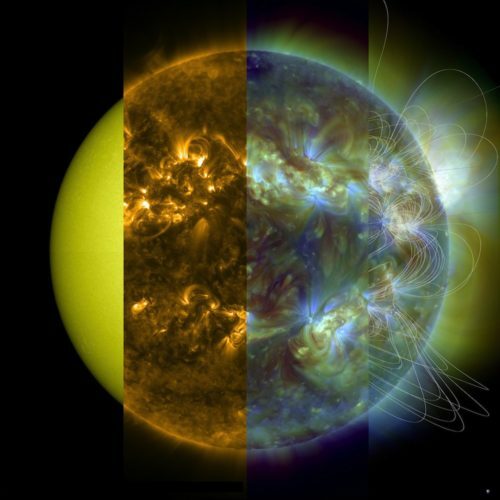 To dig into more detail about each wavelength and what it measures, check out this NASA article.